A Family Skiing in Maine: Black Mountain of Maine - Opening December 30th! Black Mountain of Maine - Opening December 30th! Black Mountain of Maine is one of our favorite 'mid-major' ski mountains. 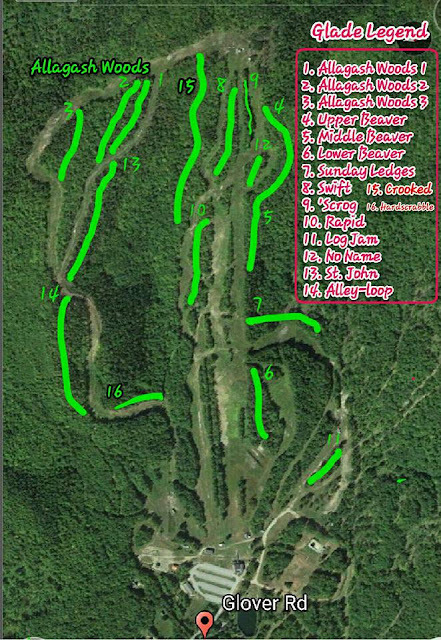 A modern triple chairlift services over 1,200 feet of vertical, some great blue cruisers and with the help of the volunteer Angry Beavers of Black Mountain they have made Black a gladed terrain destination. This is by far the best deal in Maine. $15 Fridays and $29 weekend / holidays. With snow in the forecast for Tuesday this should be a great opening day! Along with the alpine skiing, they have a world-class nordic facility, a very comfortable base lodge with a pub, a tubing hill and night-skiing. In support of the mountain, we created a 30 second promo video using some of our past footage. Please watch below and share with your friends. We highly encourage you to check out Black Mountain in Rumford this year! Well worth the trip!